If you are finding that your business’s waste management program is a significant part of your budget, it may be time to work with waste professionals to determine how you can cut your overall costs. With proper trash removal and effective recycling, you can ensure that your waste management program is an affordable and sustainable part of your business. A company offering waste management and recycling serving Atlanta will be able to help you revamp your overall waste management strategy. To help you get started, here is a look at some handy tips for reducing your commercial waste management costs. One of the best ways to cut back on your waste management costs is to evaluate how much waste your company is generating on a daily or monthly basis. If you are disposing of objects or items that could be reused, you may be throwing money away. By embarking on a full evaluation of your waste production, you may be able to save money on supplies and waste management in the long run. In order to help cut back on your waste management costs, you may also want to consider making recycling a stronger part of your waste management program. When you recycle, you will be putting valuable materials back into use. In addition, recycling is typically more affordable than renting a dumpster or making repeated trips to the landfill. Boosting your recycling efforts is a great strategy for reducing your waste management costs. If you have a large quantity of waste that needs disposal, you may want to consider dumpster rentals for your waste disposal needs. A quality and affordable dumpster rental will provide you with the perfect location for dumping larger amounts of trash. With the assistance of a company that specializes in dumpster rentals in your local area, you can choose a dumpster that is the right size for your needs. Waste management is among the most important aspects of the restaurant business. If you are the owner or manager of a restaurant, it is highly important to make sure that your recycling and waste disposal program is planned and implemented properly. A company offering recycling bins in Atlanta can help you create a waste management and recycling program for your restaurant. By enlisting the help of waste management professionals, you can get the most out of your recycling efforts. To help you get started on your new recycling program, here is a look at some top strategies for improving your restaurant’s recycling efforts. In order to create a successful recycling program for your restaurant, it is essential to enlist the support of your team of staff. For example, you will want to inform your employees that you are planning a new recycling program for your business. With the help of your employees, you can make sure that everyone is on board with your new recycling program. If you are seeking a great way to improve the recycling efforts of your restaurant, it is also a great idea to take the time to learn about recyclable materials. While some items that are used in the restaurant setting can be easily recycled, others may not be a good fit for your recycling efforts. For example, you should determine whether your cardboard boxes can be recycled if they have been contaminated by food waste. Creating a collection system is key when you are boosting the recycling efforts of your restaurant or business. There are several methods that you can use to get organized when it comes to collecting your recycled goods. For example, you may want to designate certain bins for the disposal of each type of item. In addition, you will also want to make sure that your trash and recycling bins are clearly labeled. Today’s technological innovations are designed to conserve energy and natural resources. With green technology, you can help your business generate less waste, while also saving on the costs of energy and other resources. Some of the most amazing green technologies that have been released in current years include LED lightbulbs and personal solar charging devices. If you would like to boost the environmental impact of your business, you may want to consider asking your local recycling center about how you can better use your recycling bins. When you recycle, you will be doing your part to protect the environment. 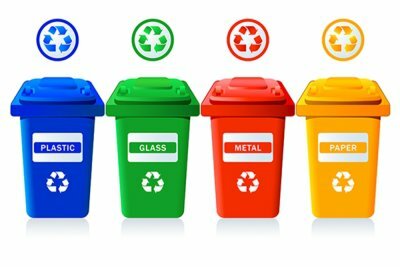 A company specializing in recycling bins in Atlanta can help you create a recycling program for your business. To tour some of the top trends in green technologies, check out this video from TheRichest. Whether you have just completed a construction or renovation project, or you simply are finding yourself with excess waste on your hands, it is essential to find the proper disposal solutions for your bulk waste . At Southern Waste & Recycling, we are thrilled to offer bulk junk removal in Atlanta. Along with our trash services and waste management solutions, we also provide our many satisfied customers with bulk waste pickup. 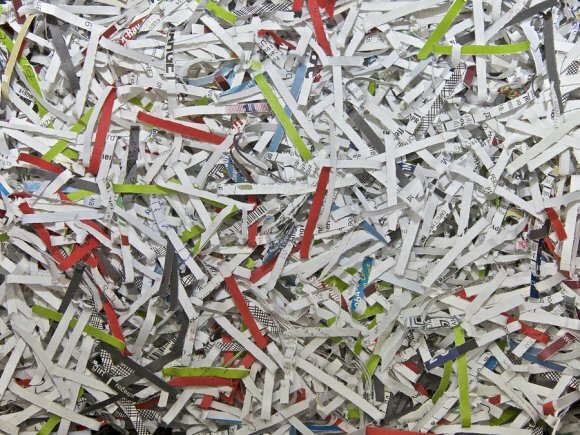 When you contact us to schedule a bulk waste removal, we will handle every step of the pickup, from start to finish. Our technicians will also make sure that your bulk waste is disposed of in an environmentally friendly manner. From large appliances to furniture and construction waste, we specialize in the hauling and eco-friendly disposal of all bulky items. If you have excess waste on your hands, do not hesitate to schedule bulk waste removal with our highly rated company. As the owner of a commercial business or industrial factory, waste management is probably near the top of your list of concerns. With proper waste management , you can conserve important materials, while also ensuring that your waste is properly eliminated. A company that specializes in recycling and waste near Atlanta can help you get started on a waste management plan for your commercial business. A team of waste management professionals can answer your questions about the dos and don’ts of proper waste management. Read on for a closer exploration of an effective waste management plan. When you are creating an effective waste management plan for your business, you will want to consider how you are managing your sustainable materials. During the production process, many materials may be used and discarded that can be seen as sustainable resources for your business. By structuring the way that you reduce and reuse, you can go a long ways towards improving your waste management. Effective waste management requires ongoing planning and strategizing on behalf of every member of your staff. When you are revamping your waste management plan, it is a great idea to take the time to outline your waste management objectives or goals. With a clearly outlines plan, you can ensure that your waste management goals are being met. 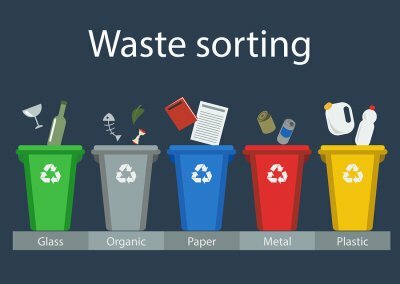 Additionally, you may want to create planning cycles that will allow you to evaluate your waste management strategies at key intervals. Finally, an effective waste management strategy will include the willing participation of every member of your team of staff. By getting everyone on board for your waste management plan, you can rest assured that your waste strategies are being implemented on a daily basis. By encouraging all of your employees to get involved, you will be able to launch a waste management program that is a total success for your business. 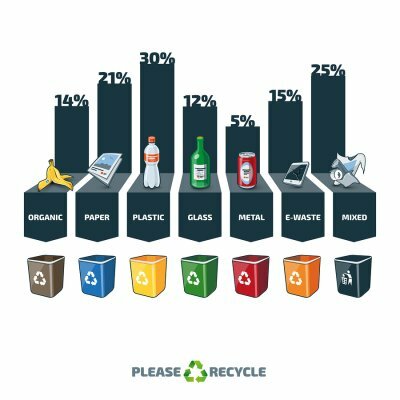 Recycling is a top priority for many small businesses around the world. By implementing a recycling program for your small business, you will be able to reduce your waste, while also providing you with cost savings. In fact, picking up recycling bins is typically offered at a lower cost than junk removal or other services. 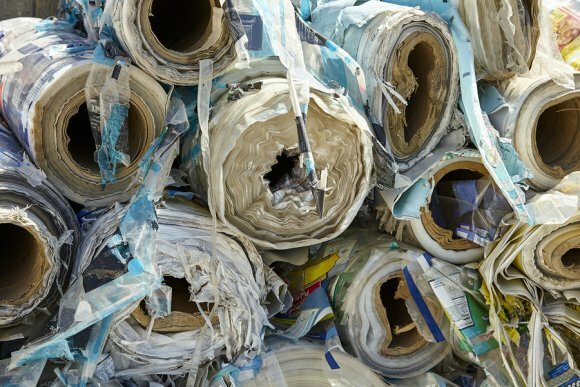 With proper cardboard recycling and other recycling measures, you can dramatically cut down on your overall waste management costs. A company that offers recycling serving Atlanta can provide you with more information about the benefits of recycling. To learn more about how recycling benefits small businesses, check out this video.